We’re excited to be showcasing the work we’ve done with the Mayor of London’s Civic Crowdfunding Programme at the Smart Cities Expo in Barcelona on the 15th of November. Find out more here. 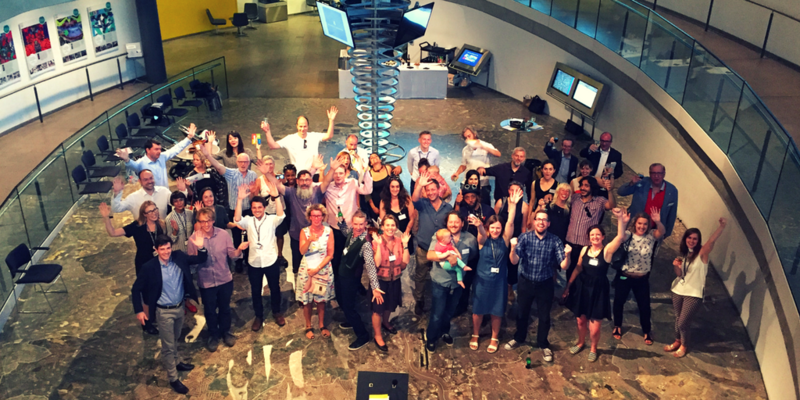 Nineteen civic entrepreneurs across the city have raised over £600,000 through crowdfunding as part of the Mayor of London’s Civic Crowdfunding Programme. The projects are spread across the city from Barnet to Bromley and Tower Hamlets to Twickenham and include a new market on the site of the first Tesco, transforming disused garages into a community hub and the rebuilding of a lido in Peckham. Together they are forecasted to have a significant impact on the local economy with nineteen businesses being started, 35 jobs created, 40 qualifications provided and over 11,000 hours of volunteering opportunities produced. The Mayor’s crowdfunding initiative has inspired Londoners to use technology to attract diverse communities around ideas for improving their local area. Kay Richardson was one of the leading figures behind the successful crowdfunding campaign to bring back Well Street market in Hackney. As a resident in the area for over twenty years Kay identified that increased gentrification in one of London’s most deprived boroughs brought with it tensions between the different groups of people now living side by side. Wanting to ease these pressures and to build a sense of community and mutual understanding Kay surveyed locals and discovered the need for a Saturday market offering local produce. As well as fruit and vegetables, the new Well Street market will offer a Teenage Market to develop and nurture young entrepreneurial talent, a Student Makers Market through links with London College of Fashion, a live music stage and collaborations with the World Bee Project to introduce beehives that will produce local honey. 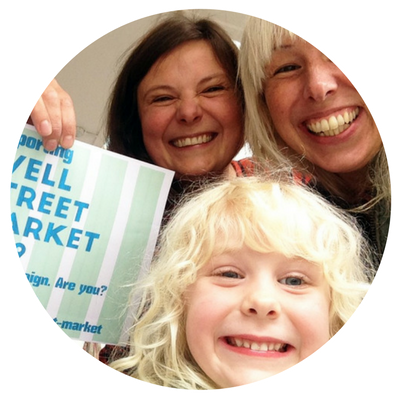 “We want Well Street Market to be a creative community hub that will reinvigorate the local area, increase footfall, offer pathways into work and celebrate our wonderfully diverse community. We want Well Street to unite communities and be a street to be proud of” said Kay. The collective effort of 340 people will be involved in delivering the different projects in addition to the more than 38,000 hours that were invested in running the campaigns themselves. As a result, it’s projected that 11,500 new people will be attracted to the project sites with 1480m squared of green space created or enhanced. This new way of funding grass roots regeneration manages to connect people with the change happening in their communities prioritising local engagement over international investment. 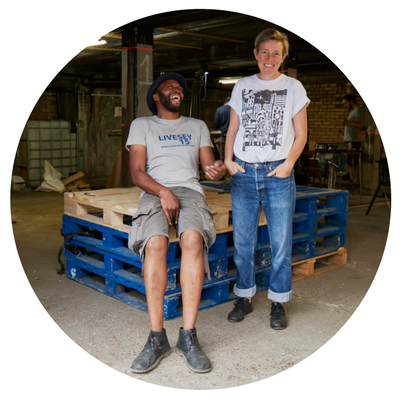 Nicholas Okwulu of social enterprise Pempeople and Ulrike Stevens of what:if projects are neighbours who joined forces to develop plans for the transformation of 60 vacant garages on the Ledbury Estate on Old Kent Road. Located in one of the most deprived wards in Southwark, the project addresses the need for training and support in an area with high youth unemployment and low levels of educational attainment. More than just finance and resource, the initiative was successful in building relationships as project creators were connected directly with City Hall, building real links between the community and the local authority. Alongside the increased community cohesion in their own areas, project creators also developed real relationships with each other throughout their crowdfunding journey. As well as giving each other encouragement and support, 75% of the projects backed one another’s projects in solidarity. “Our crowdfunding initiative is a chance for all Londoners to take part in the regeneration of their neighborhoods from the grassroots up. I am delighted to be supporting projects that will help strengthen local communities and help to make London an even greater city” stated Sadiq Khan, Mayor of London. This was the third round of Mayor’s funding distributed in this way. Building on the first two rounds where 2200 Londoners pledged £800,000 alongside £600,000 from the Mayor. This round saw a 50% increase in backers and a 40% increase in the money pledged as more people engaged with the crowdfunding campaigns in their area. 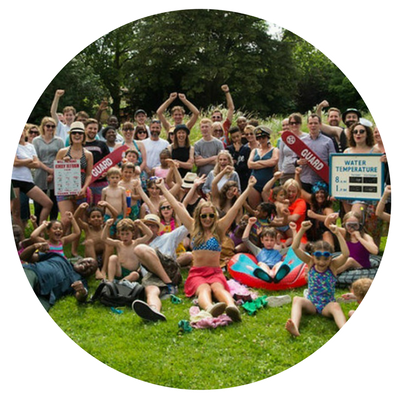 The Peckham Lido is the strongest example of how much the initiative has grown since the last round after it successfully attracted over a thousand backers including four local celebrities; actor James Norton, singer Katy B, comedian Isy Suttie and Downton Abbey star Julian Ovenden. The project was the brainchild of Peckham residents Ben Lloyd-Ennals and Jim Glynn who joined forces with architect Chris Romer-Lee and Studio Octopi to bring their idea to life. Learn more about the Mayor of London’s Crowdfunding programme here.